Let’s face it, moving is stressful! It’s time consuming, aggravating and just a real pain in the neck. Nobody I know enjoys it; but unfortunately, like death and taxes, it’s part of life. The average person in North America moves every 5 years. Unless your like my parents who have been in the same house for the last 5o years and have only moved twice that I know of…this is definitely the exception to the rule. It’s something we really don’t have a choice of doing. Maybe it’s a job taking you to another town or you want to get married and start a family and that 1 bedroom condo in downtown Vancouver just isn’t big enough anymore, we all have to move at some point in our lives and usually do this several times throughout our lives before we are done with this laborious task. What people continue to forget is that at no other time does the old adage ring true ”you get what you pay for”. If a moving company offers a rate that is so far below everyone else and sounds too good to be true….it probably is. After all people, this is your personal stuff. Grandma’s hutch that has been passed down through generations. Do you really want to risk having this get ruined. Would you trust a half price day care or baby sitter with your children….of course not, so why would you trust a half price mover to handle your personal and treasured belongings. Let’s face it, moving is basically hired labour, and relatively unskilled at that. Consequently it’s an easy business to get into as little skill is required. I mean how much skill is involved in picking something up, carrying it to a truck and loading it in a truck…then doing the same thing on the other end. This is why a lot of people do it themselves. For the most part this is true, particularly of small local moves within the same town. This low skill level and easy entry into the business can be attractive for less than scrupulous individuals to get into. It’s simple, buy or rent a truck, hire just about anyone with the physical ability to pick up a heavy item, print out some flyers, post an ad and start making money. Simple! Unfortunately this is part (big part) of the problem, just about anyone with a truck can call themselves movers. They want your business so bad and there’s so much competition that the only way they can get your business is to offer a super low price. Who isn’t interested in a low price, gets your attention, you start thinking how much money you could save. Maybe put that saving’s to the new 50′ LED TV. This is where common sense needs to come in. How can someone offer a price so much lower than the other quotes you have received. They still have to own a truck, pay insurance, buy fuel, pay taxes, pay their employees, pay for workmen’s compensation, run an office and make a profit. So, something has to be sacrificed. However, the above legally needs to be complied with, these are basic requirements required to be in business and the owner needs to make money. I suppose you could not pay your taxes, not insure your workmen (which then puts the liability on the home owner if there is a serious injury at your house, you better be sure you have enough insurance to cover it). The easier thing to do is to offer you a low rate and then include “extra’s” that are not part of the verbal estimate you were given. Whenever possible always get a written estimate before the company shows up at your door. If you don’t, you run the high risk that they will show up on moving day, you all stressed out but organized and then all of a sudden your hit with hidden charges. At this point it is virtually impossible to to get another company, so you end up agreeing and sign there contract. This is one scenario where they present this to you up front before they start the move. More often than not the unscrupulous moving company will just start loading and wait until they get your things on their truck and then won’t unload them at the destination until you pay up…basically ransoming your personal affects until you pay. Believe it or not, this happens every day. How to Avoid Problems with a Moving Company? Get everything in writing before the move. Make sure they clearly outline any potential extra’s. Ask about possible hidden extras such as a “heavy item charge” , Charge for stairs, charge for elevator, charge for awkward parking arrangements where they might have to carry items further etc… Ask lots of questions. If you don’t like the answers or they are too vague or the just say yes to everything without wanting to put it in writing, call another company. Do they own their own trucks, dollies, moving equipment or are they going to use subcontractors? Subcontractors will not be bound by your agreement with the original mover. Make sure they don’t have a caveat in there contract that allows them to do this. Are they properly equipped to handle the move? Do they have mattress bags, moving blankets, shrink wrap, necessary tools to do light disassemble, assemble in case the bed frame or dresser mirror needs to come off. Do they have floor runners or booty covers for their shoes so they don’t scratch the hard wood floor. Is there truck equipped with a lift gate or ramp and proper tie downs inside. Make sure you get a written estimate before you move. Have the companies come in and look at your place. Have them estimate the time, how many men will be needed and what the travel cost will be. If you plan on moving during rush hour, make sure the travel time is calculated accordingly or ask for a flat rate. That way if they get lost or stuck in traffic it’s not an extra charge for you. Beware of companies that only accept cash and don’t charge any taxes etc…Whenever possible, use your our credit card. This way you can dispute charges with the credit card company. 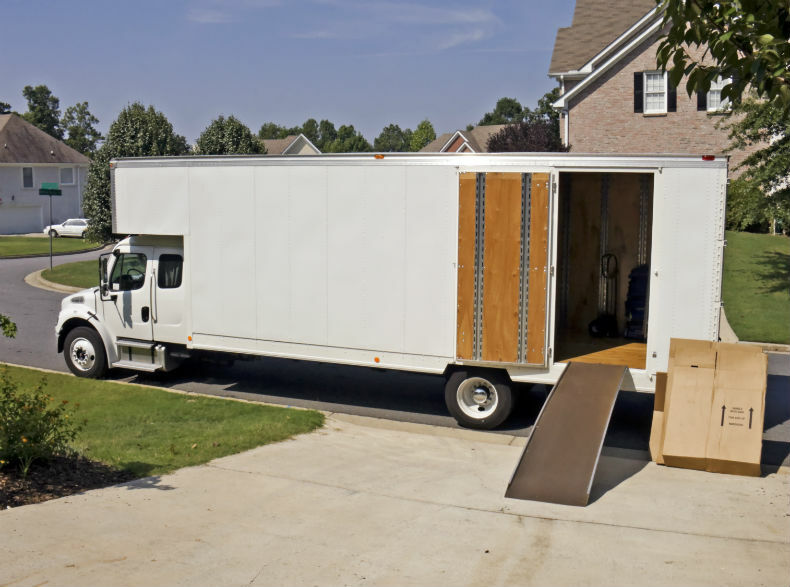 These are some general guidelines for choosing a local mover. Local moves are generally billed by the hour plus travel costs. There are a lot of “fly by night” local movers out there so beware. If you can, visit there office, you’ll get a great sense of the quality of the company by visiting their office. If they don’t want you to come by or can’t meet you…this is a red Flag. Another simply thing to do these days is to use Google Maps. Click on street View and check out their office online. If’s it’s a shoppers drug mart or auto body shop and no company sign, their a scam company and stay away. Besides being tempted by the really low price, you should be asking yourself, is this the best value. If I pay a well know reputable company a few dollars an hour more, but they offer everything in writing, have all the proper equipment and insurance, you will probably end up saving money in the long run as you won’t get hit with hidden charges, have your items held for ransom and if something does get damaged or goes missing, they will have a claims department available to help you out. Go with the low bidder that doesn’t have any of this stuff and your out of luck…what does that cost you? For more information visit the office of consumer affairs.